On January 9, 2016, a significant milestone passed in the technology world – 10 years have passed since Steve Jobs announced Apple's ground-breaking first iPhone. The ensuing decade has seen an explosion in the development and use of mobile devices, with the iPhone often setting the standard for other manufacturers to follow. Despite the enthusiasm with which consumers have adopted the new generation of mobile devices, evidence suggests business use of mobiles remains somewhat lacklustre. Research from Gartner has shown that just 23 per cent of surveyed employees are provided mobile devices by their employers, compared to 75 per cent receiving at least one PC. Is 2017 the year for greater mobility in your business? "In the era of mobility, it comes as something of a surprise that corporate usage of smartphones and tablets is not as high as PCs, even when the use of personally owned devices is taken into account," said Mikako Kitagawa, principal research analyst at Gartner. "While it's true that the cost of providing mobile devices can quickly escalate, proper usage of mobile devices can increase productivity, which can easily justify the extra costs." To celebrate a new decade of smartphone supremacy, perhaps 2017 should be the year your business adapts its IT solutions to make better use of mobile. While it seems like just yesterday that New Zealand mobile networks made the transition to 4G, the next evolution of wireless technology is just around the corner – 5G. More than just a speed boost for mobile downloads, 5G is being pitched as a revolution in connectivity like the world has never seen. Speaking at the recent CES tradeshow in Las Vegas, Qualcomm CEO Stephen Mollenkopf spoke of the potential of the new standard. 5G is being pitched as a revolution in connectivity like the world has never seen. "5G will be a new kind of network, supporting a vast diversity of devices with unprecedented scale, speed and complexity. 5G will have an impact similar to the introduction of electricity or the automobile, affecting entire economies and benefiting entire societies," he said in his keynote CES speech. The only question is when the upgraded networks are expected to be available. Dr Syed Faraz Hasan from Massey University's School of Engineering and Advanced Technology wrote recently for Hawkes Bay Today that many countries around the world are expected to start rolling out 5G in 2018. Reuters, meanwhile, reports that device manufacturers may wish to bring that roll-out forward, with Nokia chief executive Rajeev Suri noting that equipment could begin appearing this year. 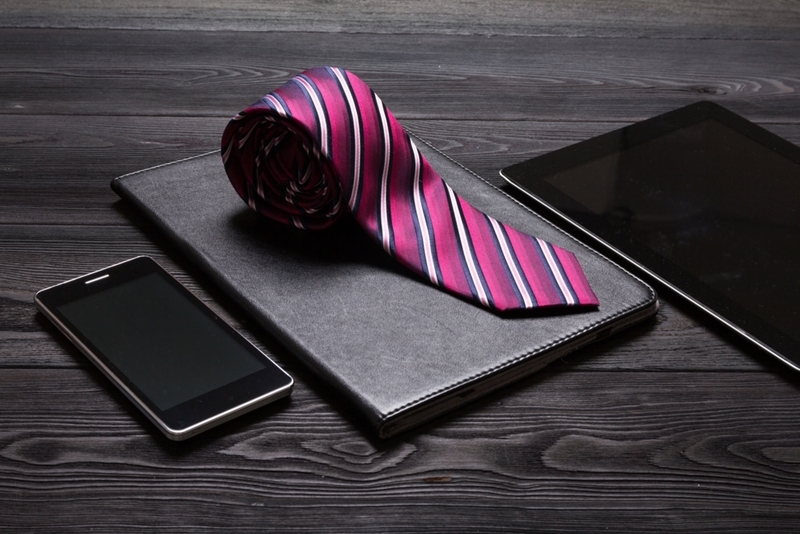 Mobile devices could soon be part of the business uniform. There's little argument against the many benefits of adopting greater mobility in the workplace, but making the transition isn't without challenges. The speed with which the market has grown has exposed some vulnerabilities in security, gaps that cybercriminals have been quick to exploit. IT security firm McAfee notes that mobile security issues saw a troubling increase in 2016, a trend which is only likely to continue this year. Having a sophisticated security strategy to combat mobile malware and ransomware is essential for any New Zealand businesses looking to up their mobile use in 2017. Robust protection for network access, greater visibility of all connected devices and close management of BYOD are the core elements of a mobile security solution, making up a framework that protects your business data and users. Having IT support to ensure your operations are running smoothly and efficiently means keeping up with the latest technology. When it comes to the management of your mobility, having dedicated experts on board helps your team gets the most out of their smart devices without compromising security. Imagetext Integrated Solutions' mobility solutions offer tremendous benefits to New Zealand organisations. Get in touch with the team today.